What Daylite Triggers and Actions are Supported? Project Updated - Triggers when a project is updated in Daylite. New Person - Triggers when a new person is created in Daylite. New Appointment - Triggers when a new appointment is created in Daylite. Opportunity Updated - Triggers when an opportunity is updated in Daylite. New Project - Triggers when a new project is created in Daylite. 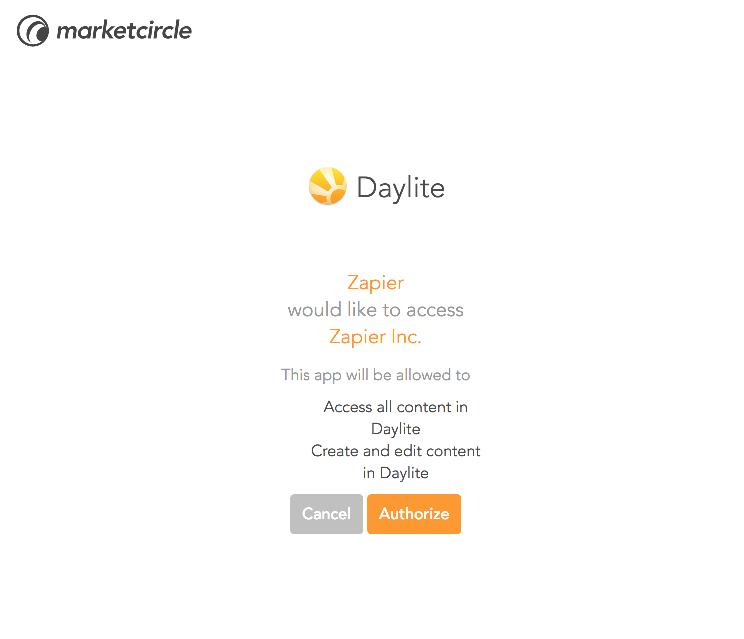 New Opportunity - Triggers when a new opportunity is created in Daylite. New Task - Triggers when a new task is created in Daylite. Person Updated - Triggers when a person is updated in Daylite. Appointment Updated - Triggers when an appointment is updated in Daylite. Task Updated - Triggers when a task is updated in Daylite. Company Updated - Triggers when a company is updated in Daylite. New Company - Triggers when a new company is created in Daylite. Find Appointment - Finds an existing appointment. Find Opportunity - Finds an existing opportunity. Find Note - Finds an existing note. Get Object by ID - Retrieves an existing Daylite person, company, opportunity, project, note, task, or appointment by its reference ID. Find Project - Finds an existing project. Find Task - Finds an existing task. Find Person - Finds an existing person. Find Company - Finds an existing company. Create Appointment - Creates a new appointment. Create Form - Creates a new form. Create Person - Creates a new person and optionally an associated company. Update Company - Modifies a company. Create Company - Creates a new company. Update Appointment - Modifies an appointment. Create Opportunity - Creates a new Opportunity. Link Objects - Links a Daylite object (Contact, Company, Opportunity, Project, Note, Task, Appointment, Group, Form) to other Daylite objects. Create Note - Creates a new Note. Update Opportunity - Modifies an opportunity. Update Person - Modifies a person. Update Task - Modifies a task. Update Project - Modifies a project. Create Opportunity for Person - Creates a new opportunity associated with a person or company. 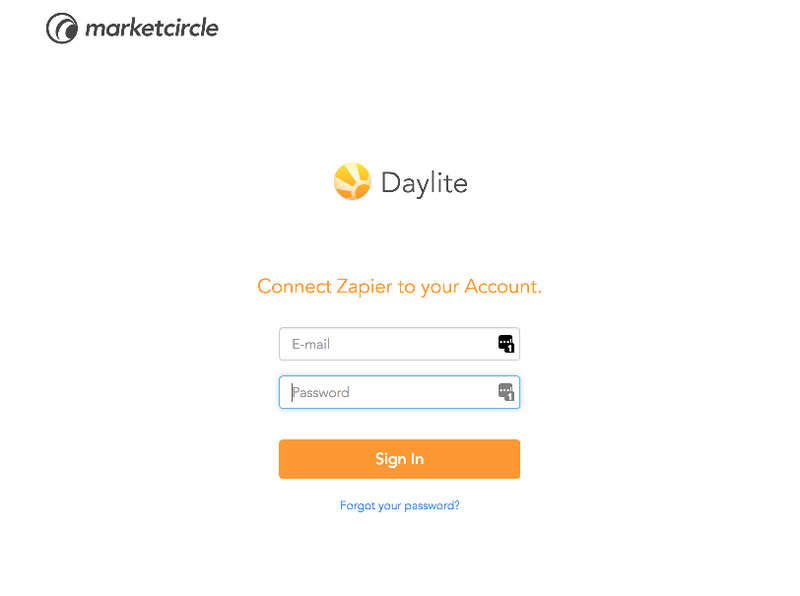 To get started with Daylite on Zapier, first you will need to click to connect your Daylite account to use with your Zap. 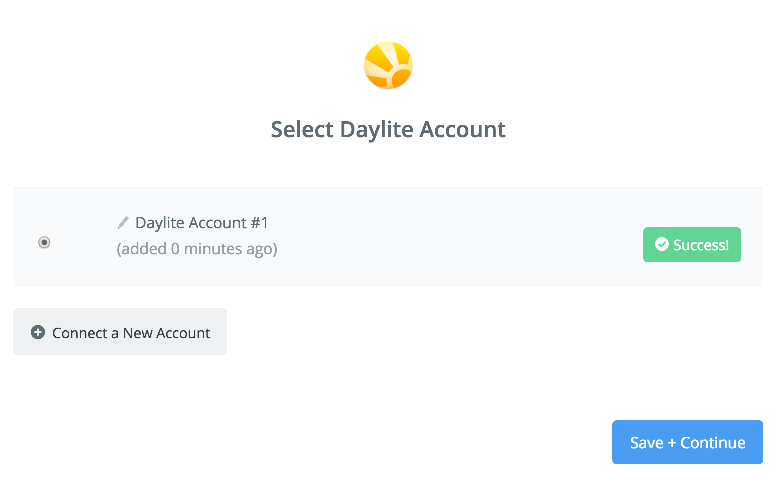 You’ll now be asked to log into your Daylite account (unless you are already logged in). Finally, you will be asked to give Zapier permission to access your account. Click “Authorize” to continue. 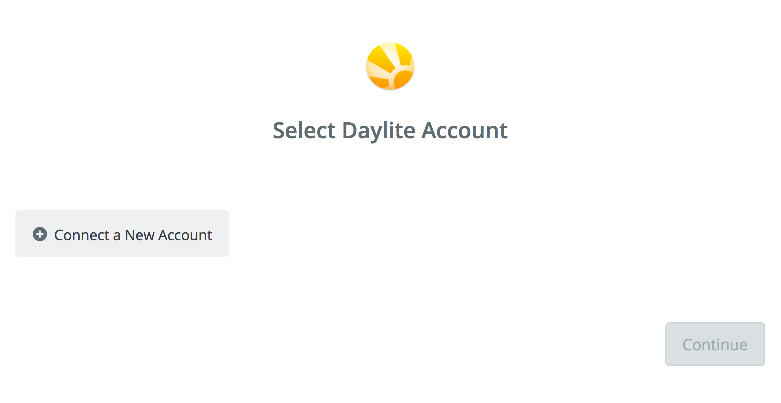 If all steps were successful your Daylite account will now be successfully connected.